Add An Activity To Make Your Stay Special! Includes all activity equipment and instruction. Our prices are based on a group size of up to 10 people. We can offer additional discounts for larger groups dependent on the size, so give Andy a call on 01288 362900 with the number of people in your group and we can work out a price for you. £30 per head for all activities, except coasteering at £40. 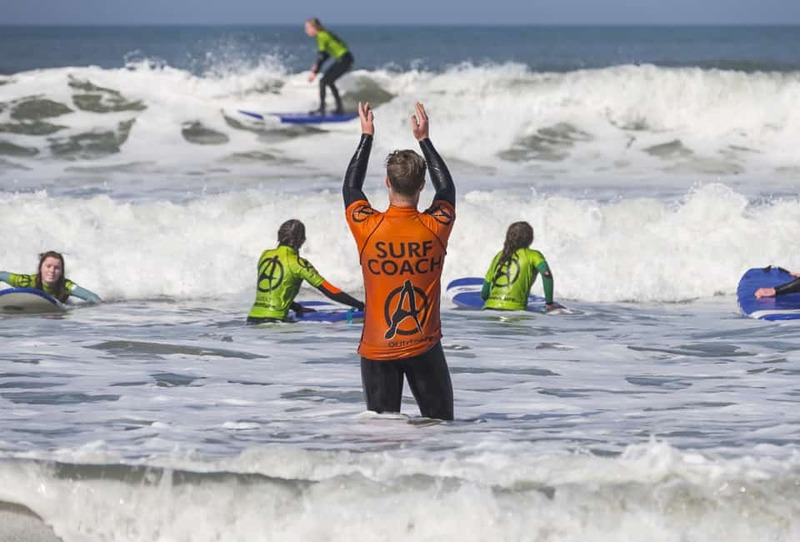 Your Group has to experience surfing if you’re down in Cornwall! Not just a sport, it even has its own culture. By far the most popular activity on our family holidays, surfing is great fun but also a grounding experience for people, as they gain respect for the sheer power of nature. Whether it’s getting the buzz from your first ever wave, the challenge of learning to bottom turn on a green wave or the sheer adrenaline of down the line surfing over an unforgiving Cornish reef – it’s a must. Your surfing moments will stay with you forever! 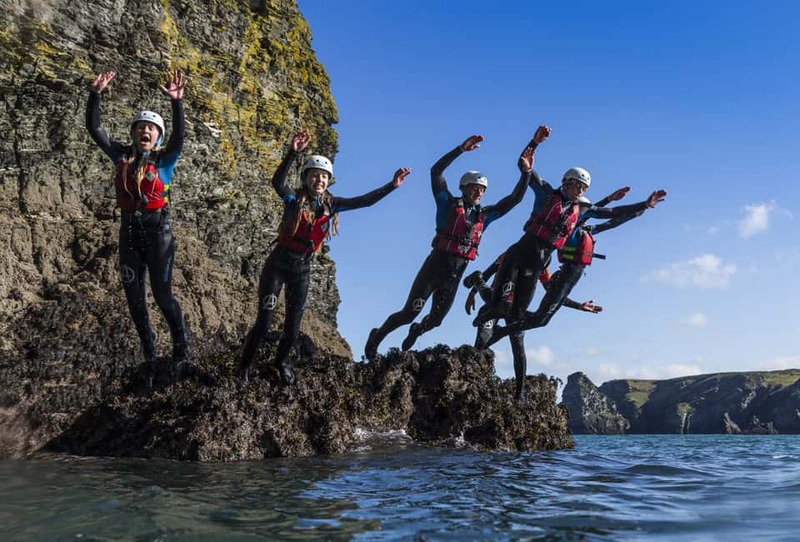 We take your group to a secret cove which must be one of the ultimate locations for coasteering in Cornwall. It really does have everything for an incredible session – breath taking scenery, crystal clear water, white sand, caves, natural arches and more! One minute you will be traversing across barnacle-covered ledges and the next find yourself jumping into the sea to swim across inlets filled with water that shows off the sparkling sand and seaweed covered rocks below. During your adventure you’ll be reaching hidden and remote places with no other means of access. It’s simply mesmerising and given the chance you will want to stay bobbing around in the ocean forever! 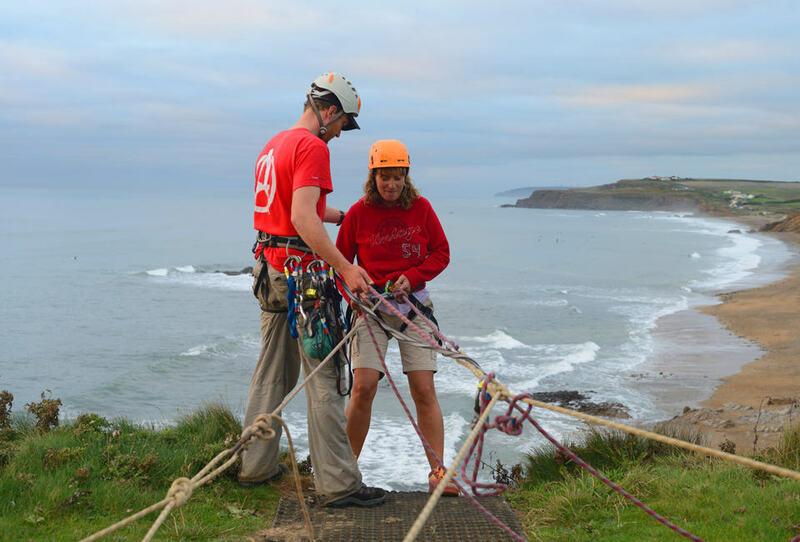 The sea-cliff climbing in Cornwall is fantastic – you’ll love it. People climb everywhere – on the coast, on the tors of moorland regions, high up on exposed faces of mountains and indoors on purpose built climbing walls. 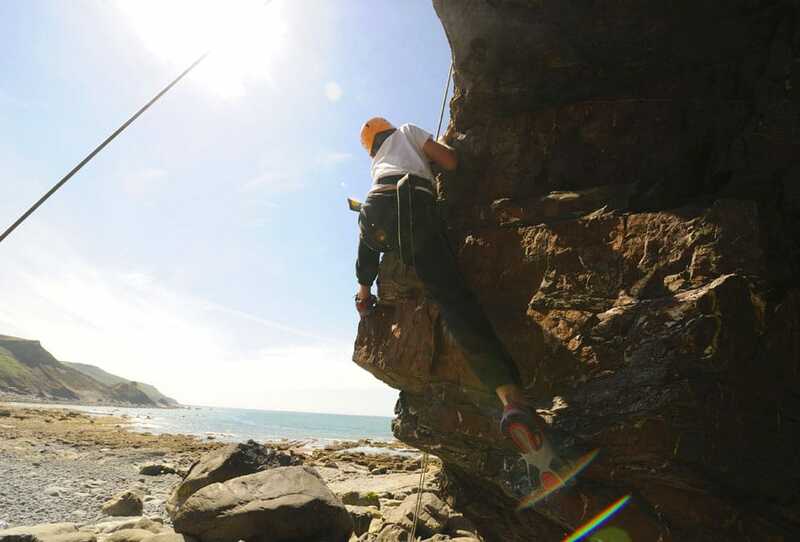 On your stay with us, you will be climbing on sea cliffs which is a dramatic and inspiring climbing environment. You will experience real adventure and exhilaration plus the satisfaction of conquering a rock face with the sea crashing beneath you. Climbing is now a mainstream and very popular activity. Many people living in cities practice on their local climbing wall, so they are ready for their next route out on the real rock face. Like abseiling this is another excellent sport for confidence building, where appropriate people are given the opportunity to belay other group members backed up by one of our coaches – a powerful exercise in trust. 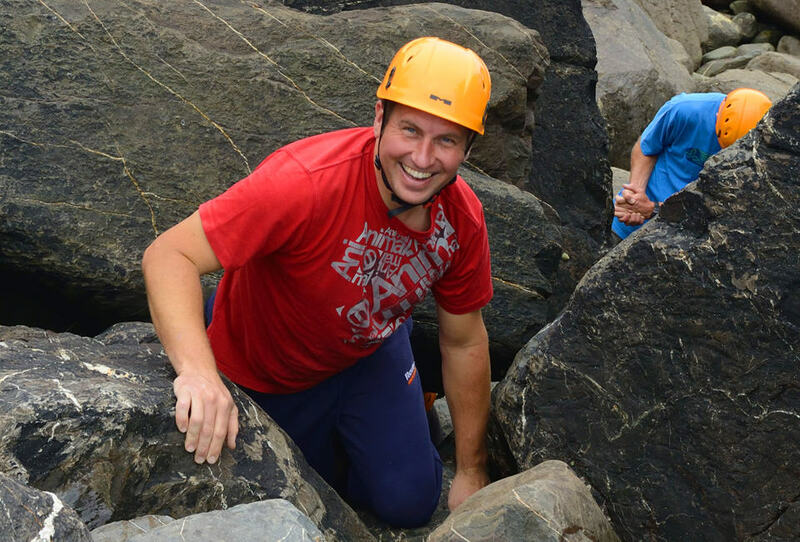 Abseiling takes your breath away – a fantastic memory of your stay in Cornwall. People abseil down everything from city buildings to industrial towers, but can’t you beat the thrill of abseiling down a Cornish cliff face with the sea crashing beneath you. As you descend you can marvel at the spectacular views all around. Many people are apprehensive about this activity, but with a good coach and the support from the rest of your family you’ll do it! The feeling of accomplishment when you’re at the bottom is overwhelming. This is an excellent way of building personal confidence and trust in others. Fun for your whole group together! The method of transport used originally by the Indians, Canadian Canoeing is a rapidly growing sport with all ages. 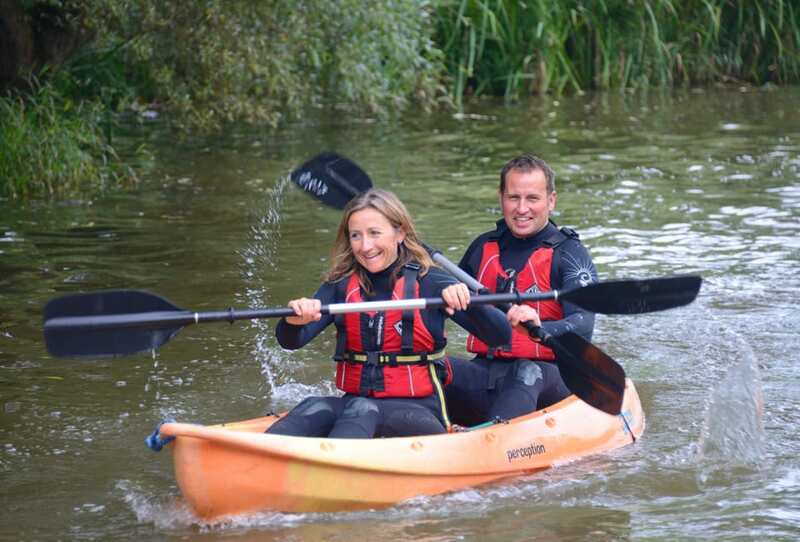 As well as paddling on flat water, they can be used to negotiate rapids or take on expeditions around the world. There are lots of different styles of Canadian Canoe and you can fit from 2 up to 4 people in a boat. We take you to the Bude Canal, which is a beautiful historic canal used once as a route for hauling sand inland to the Bude railway. Your journey starts near the sea and meanders inland through marshes and nature reserves where herons and kingfishers often watch from the bank. A great stretch of flat water with lots to see. 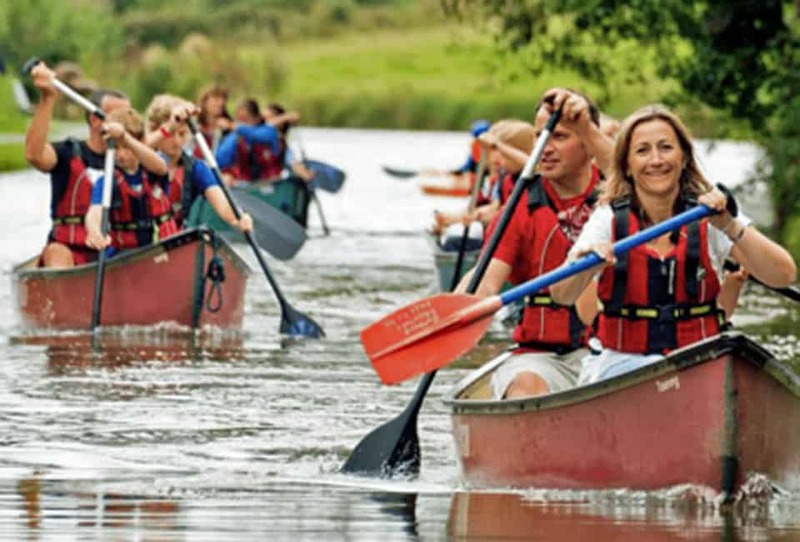 Kayaking is an incredibly versatile sport and now a very popular activity. It offers everything from tranquil paddling up calm rivers to pure adrenaline rushes from white water rapids, battling against the surf or undertaking a solo ocean crossing. It’s also great for games and team challenges. When you start, the first thing to master is going in a straight line, but as soon as you have cracked this there’s loads more skills and strokes to learn – how to turn your boat quickly, recovery strokes and Eskimo rolls. Sit on top kayaking has become very popular and is a rapidly growing sport. You can use solo boats or doubles and they have a multitude of uses from sea kayaking and fishing to surfing. Their popularity is primarily down to the fact that you aren’t required to roll if you capsize, as the boat can be righted without it filling with water and needing emptying. Pick your route and try to stay dry! This is a really unusual and fun activity where you make your way along the base of the sea cliffs, over or under whatever comes your way. You’ll be picking your way through boulder fields, jumping across rock pools, traversing across barnacle covered ledges into secret bays where you will see no other human visitors. You wear normal clothes, trainers and a helmet for safety. This is predominately a dry sport, but your skills will determine whether you stay that way! Your coach will pick as challenging a route as you want to take on. Archery is proving to be a truly rewarding and fun sport on our family adventure holidays – firing your arrows towards the backdrop of the Atlantic Ocean is very unique. 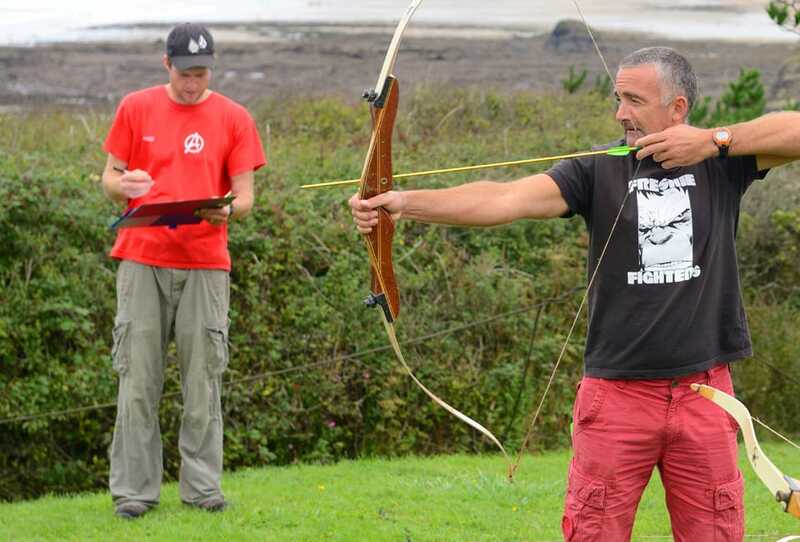 Back in 1346 archery was used in hunting and combat, a feared longbow man could consistently hit a person at 160 metres! Today it’s respected as a precision testing sport. Outdoor Adventure brought archery into its range of activities due to its attraction and popularity as a sport with a less physical emphasis, while still giving the feeling of personal challenge and mastery. We have developed an archery session for your family which is engaging, fun and highly addictive! It is a fantastic sport to develop dexterity, precision and self control – no one can hide the smile when you hit the gold.